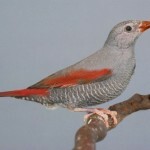 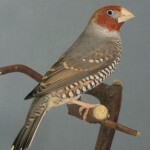 Some decades ago I began, like most bird keepers, keeping simple birds like zebra finches and diamond doves. 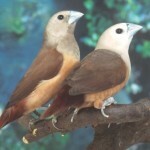 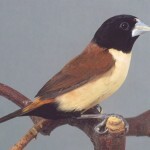 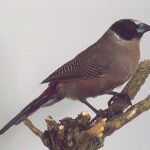 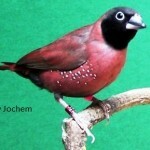 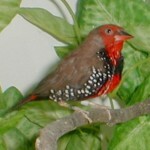 Gradually my interest in Estrildid Finches grew, despite the fact these birds are difficult to keep and to breed. 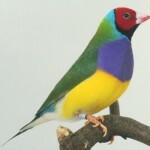 For me, that’s the challenge to actually do it. 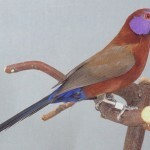 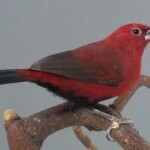 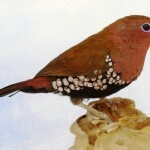 Besides keeping and breeding these birds myself, I obtained my experience throughout my contacts with breeders all over the world and memberships of several bird societies. 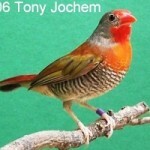 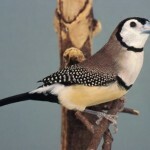 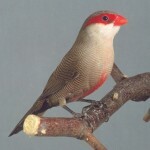 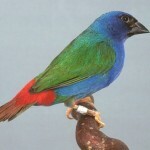 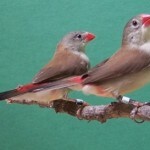 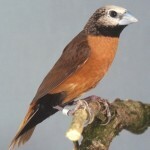 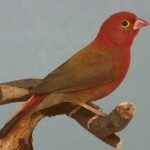 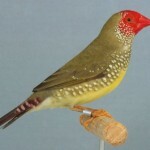 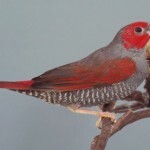 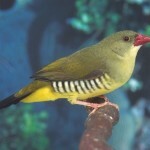 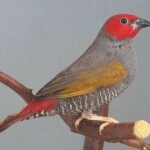 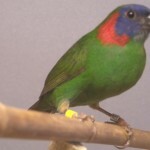 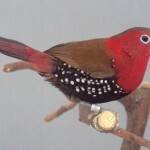 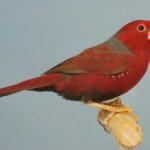 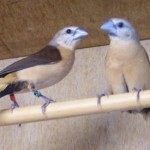 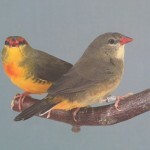 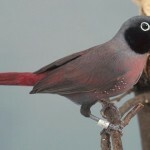 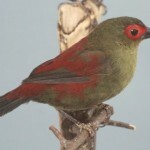 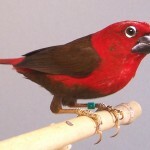 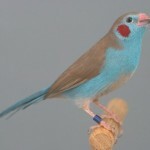 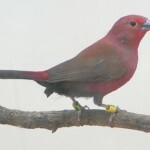 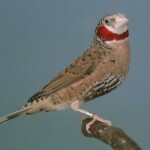 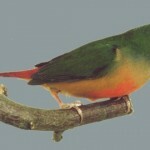 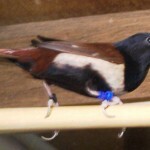 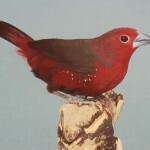 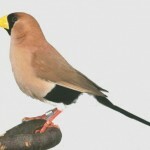 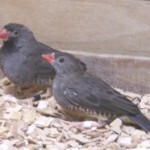 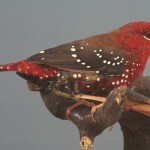 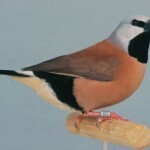 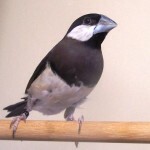 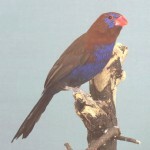 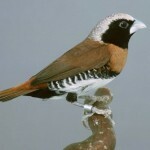 At this website I give you a view of the Estrildid Finches I kept in the past. 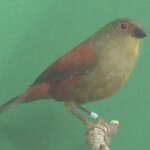 Mostly with parent reared breeding results. 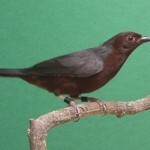 Some rare species are reared by foster parents. 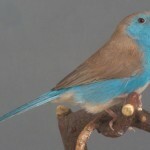 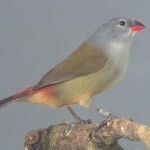 Most pictures on this website are photographed in my bird room, though unfortunately I don’t have pictures of all young birds I have bred. 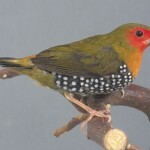 It might seem that I have had almost all Estrildids myself, but in total there are about 340 species and subspecies of this family. 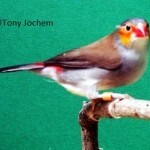 Detailed information you’ll find in my books. 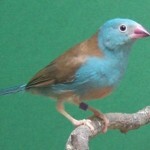 Unfortunatly, due to my health, I had to stop keeping birds in 2012. 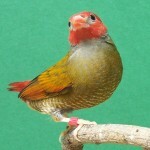 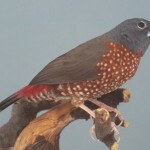 But I will maintain my website, to keep informing other bird keepers. 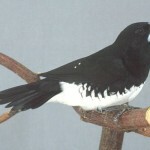 Most bird names are adopt from Avibase. 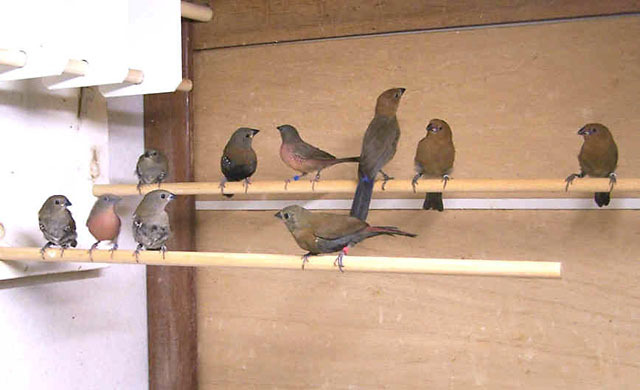 In the picture below there is a group of juveniles, all parent reared. 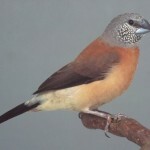 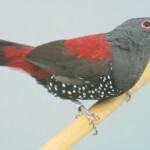 The species in the picture are: Vinaceous Fire finches, Peter’s Twinspots, Rosy Twinspots and Purple Grenadiers.